Mid-Missouri was hit with another winter storm Thursday. Ice accumulated up to a quarter inch in areas north of Columbia, and wind gusts reached 35 mph in the afternoon. 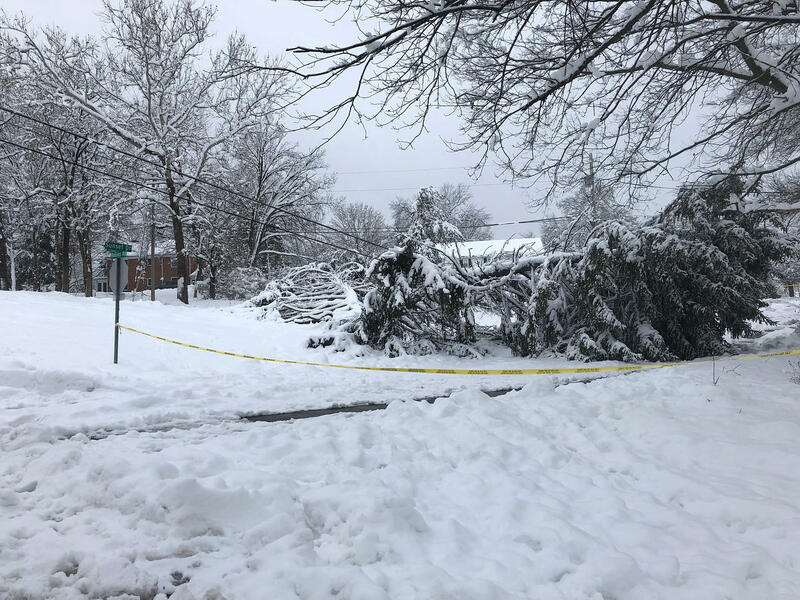 The ice caused tree limbs to fall on power lines, leaving about 225 people without power in the Columbia area, according to Columbia Water and Light. Lissie Wade, community relations specialist at Columbia Water and Light, said the outages could have been worse if not for January’s heavy snow storm. “We didn’t have quite as many trees yesterday that were impacted just because a lot of them had already been cleared from the previous winter storm,” she said. For context, Wade said about 10,000 residents were without power in January when some parts of Columbia received more than 12 inches of snow. Wade said all outages are resolved. She said Water and Light crews are on standby this weekend should any further outages occur as temperatures remain below freezing. He said falling limbs are a lot less likely now that there is no more ice accumulating on trees. According to National Weather Service meteorologist Jayson Gosselin, about a half inch of snow is expected Saturday night and could turn into freezing rain Sunday morning. He said it will be a quick storm, but people should stay off the roads if possible. Gosselin said temperatures are expected to rise above freezing Sunday afternoon.